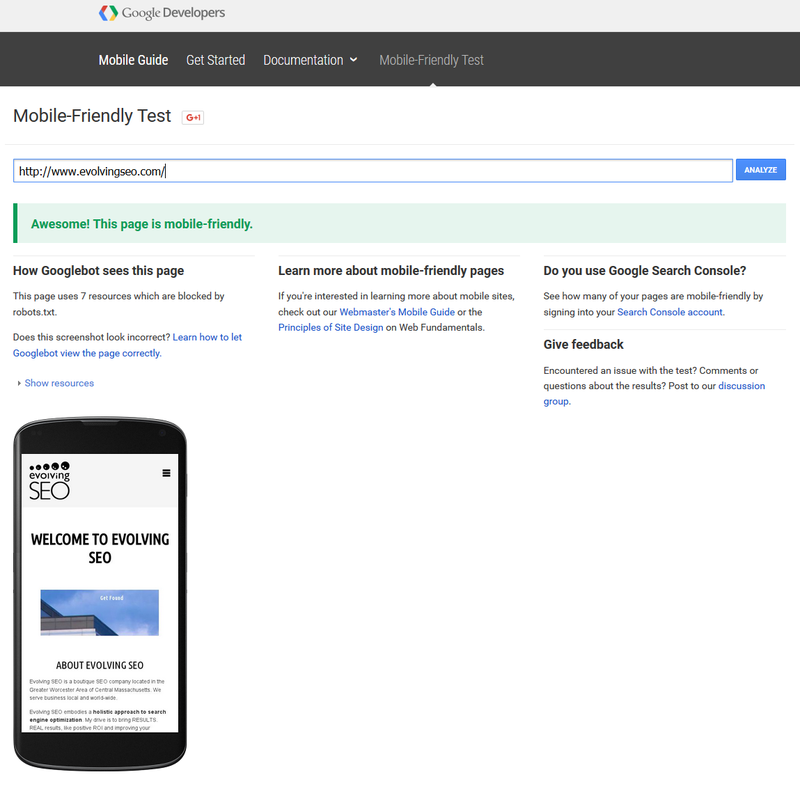 Google is testing a brand new mobile friendly testing tool. 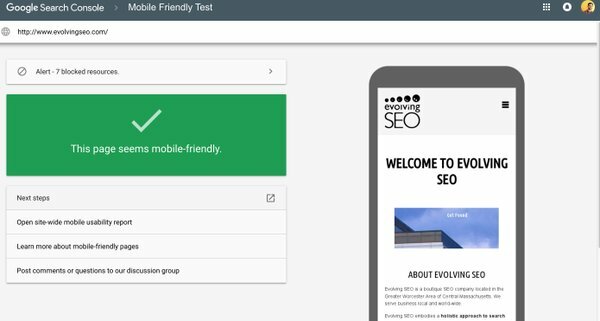 Dan Shure from EvolvingSEO was the first to spot the test, which seems to be added as part of a transition to new /search-console/ URLs in the search.google.com subdomain. He shared these screenshots with TheSEMPost, showing the new design and features. And here is how it currently looks for those not seeing the new style. The blocked resources section is much more comprehensive, and now includes the full URL instead of the truncated version. It still shows third party resources from common third parties, such as Facebook. 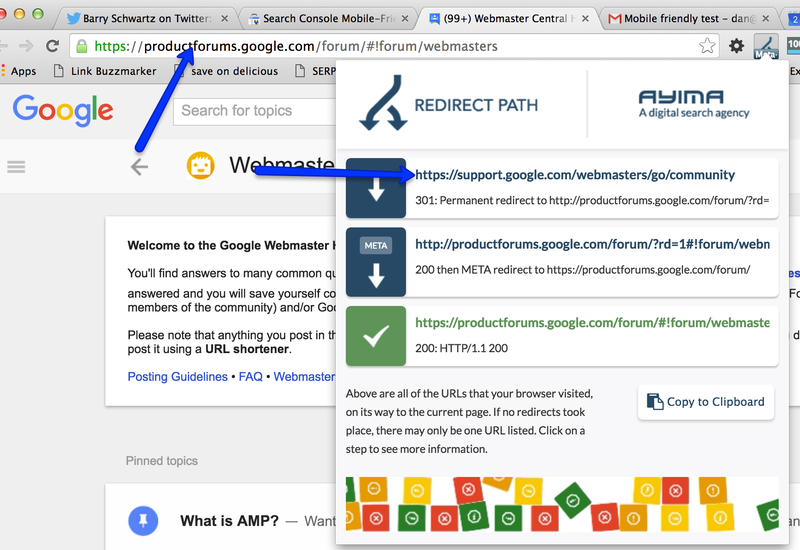 When you click on the “Next steps” expander, it sends you to Google’s webmaster help forums. For the curious, it does sent you through a few redirects. It does seem to trigger the Google CAPTCHA when you run the test a few times (similar to the submit URL CAPTCHA Google recently added), including one with the image verification. 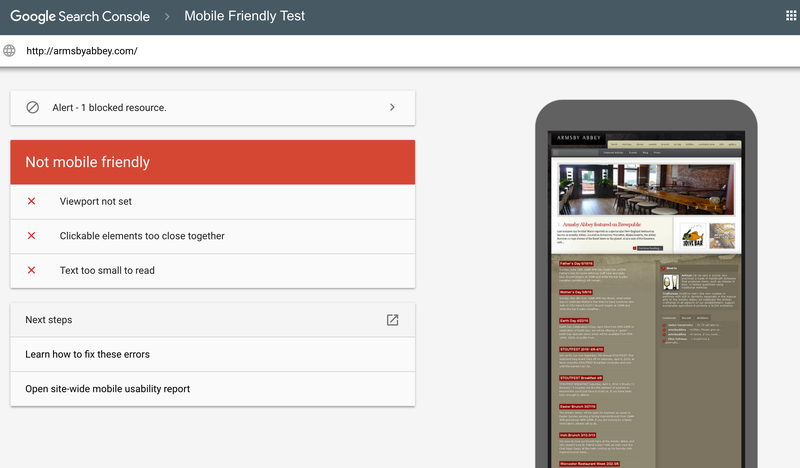 Also new is a link to a site-wide mobile usability report. 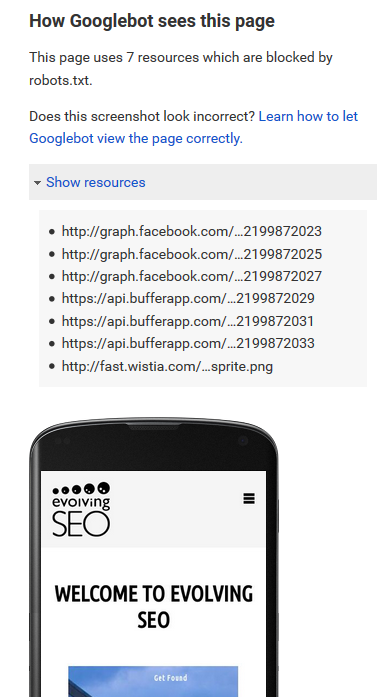 However, this just leads to the usual mobile usability page in Search Console. 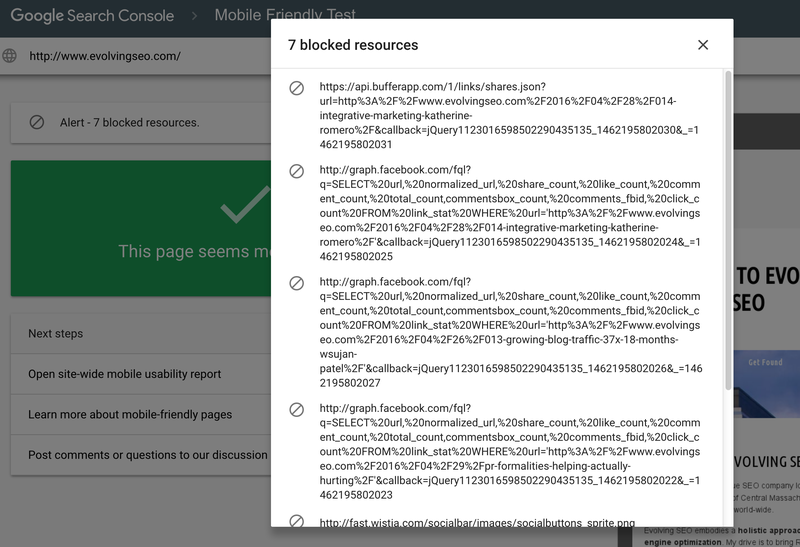 Note that this isn’t anything to do with the mobile-friendly ranking boost going site-wide… that boost and tag in the search results is still on a page by page basis. Dan also notes that it seems to run a bit slower than the previous version of the tool though. 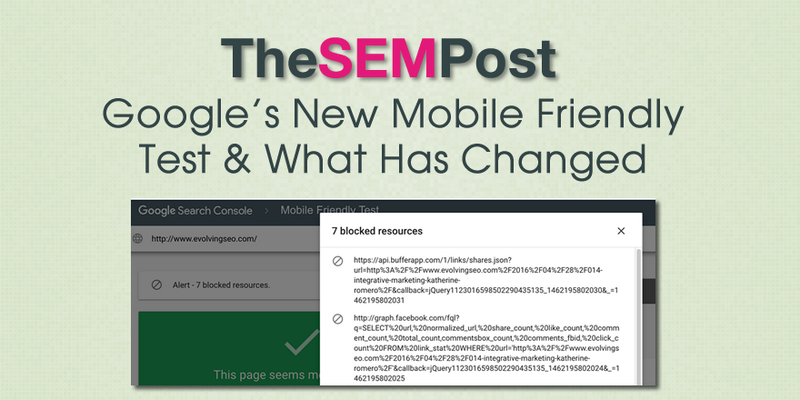 Dan Shure also shared a video of clicking around the new mobile friendly tool. 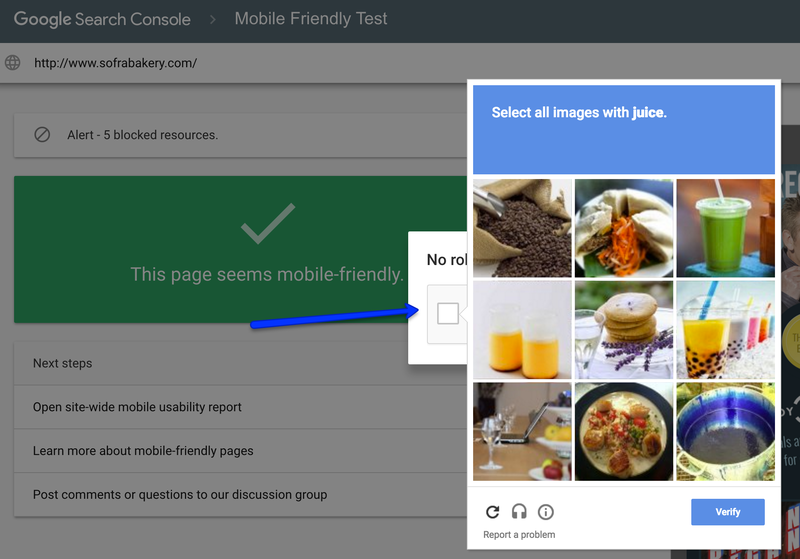 Google has been heavily promoting mobile for the past couple of years, and Google is expected to give an additional ranking boost for mobile friendly search results this month. 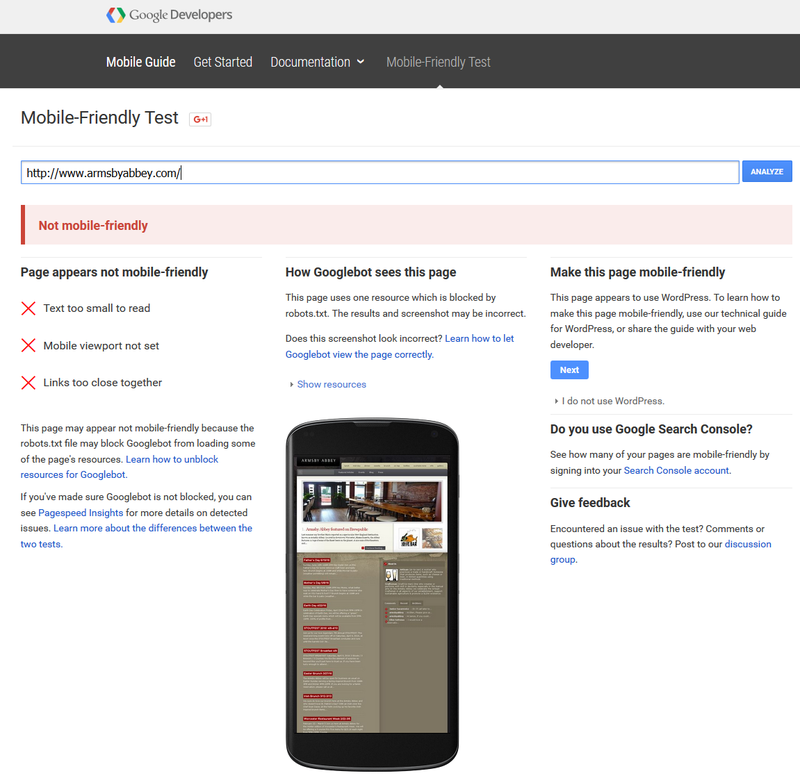 Added: John Mueller from Google has now confirmed the new mobile friendly test.